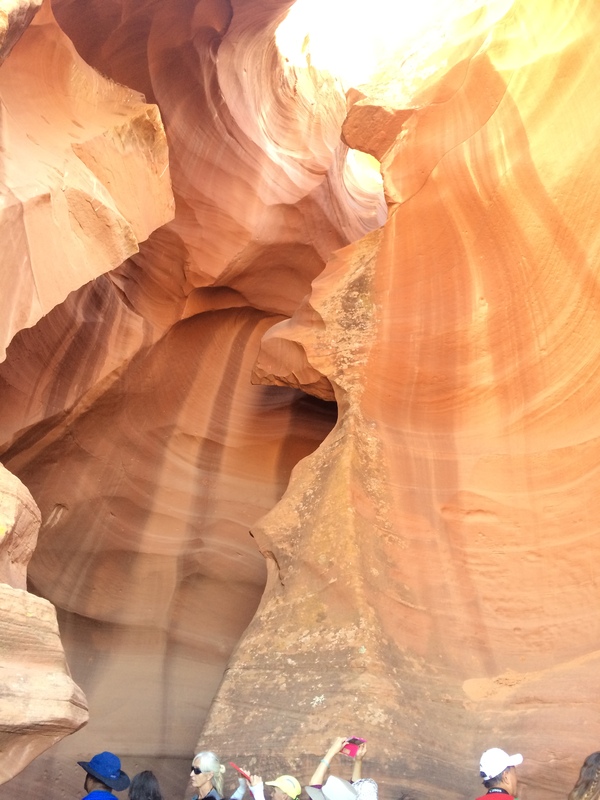 Antelope Canyon is a slot canyon located in the Southwest US near Page, Arizona. 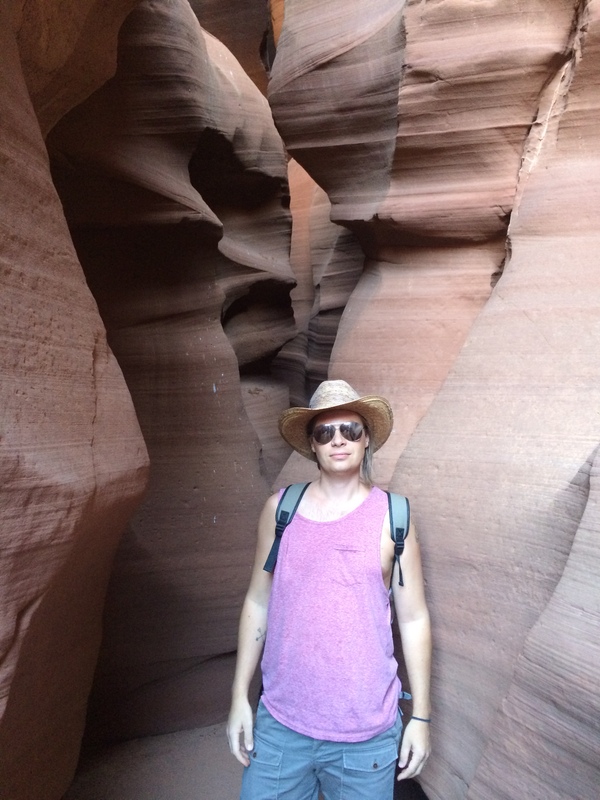 This slot canyon was formed by rushing flash flood waters repeatedly plaguing the area. Navajo Indians appropriately named it “The Place Where Water Runs Through Rocks”. What is there really to say? 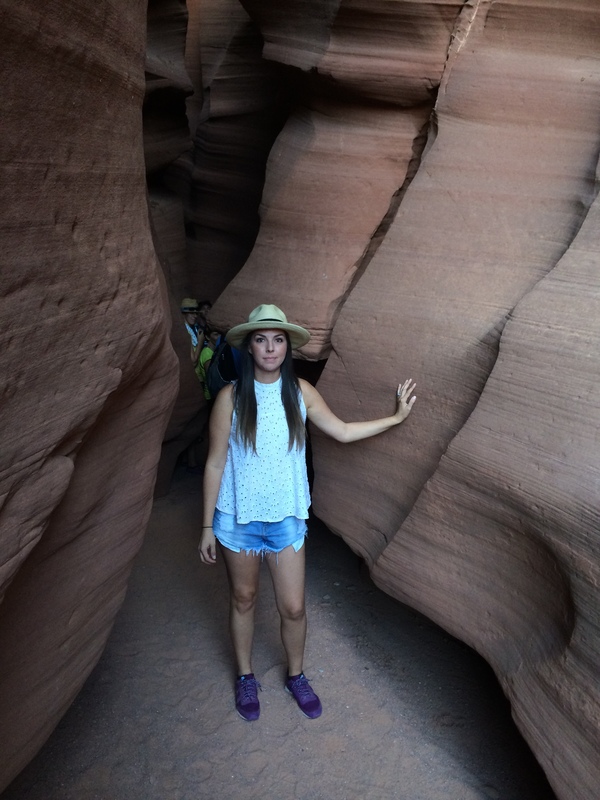 We walked through the canyon, our minds were blown, and no words can describe it. No, but really. It is such an amazing place and it IS actually hard to describe. Our tour of Upper Antelope Canyon started at the tour guide gift shop were we checked-in, paid our reservation fees, and waited patiently for our tour to start. We were ‘greeted’ by our guide/ driver, and our group of 12 people climbed into the bed of a converted pick-up truck and buckled in. 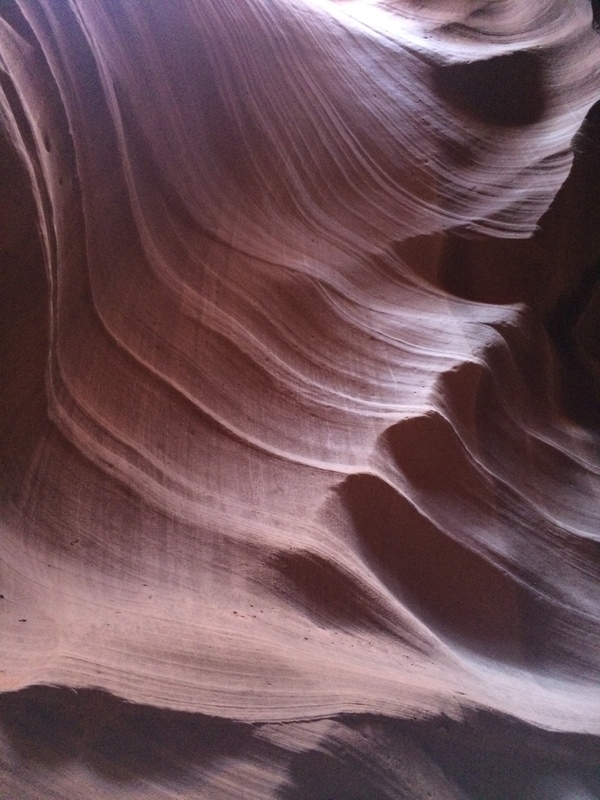 It was about a 15 minute drive from the gift shop to the entrance of the canyon. We went off-road through lots of muddy red dirt (evidence of floods from days before) for another 5 minutes and then we were at our destination. 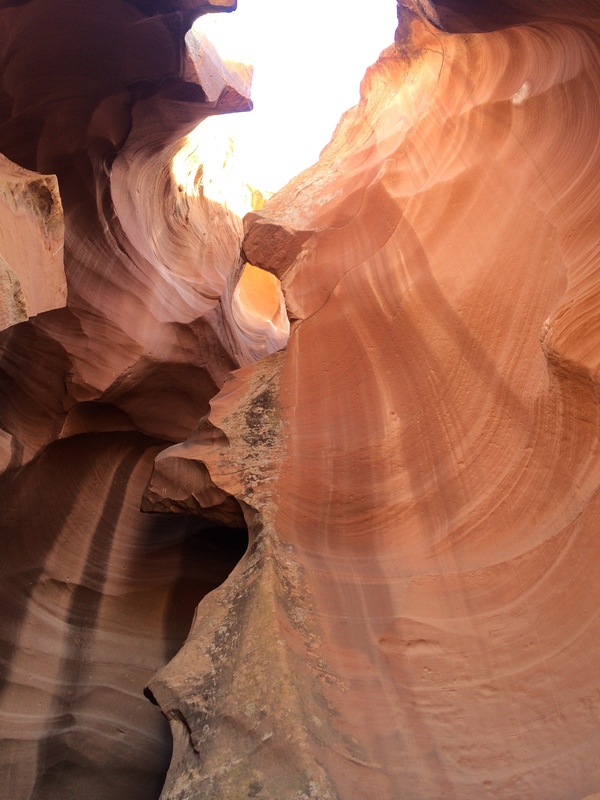 A completely unassuming narrow crevice in a red sandstone wall is the entrance to Upper Antelope Canyon. 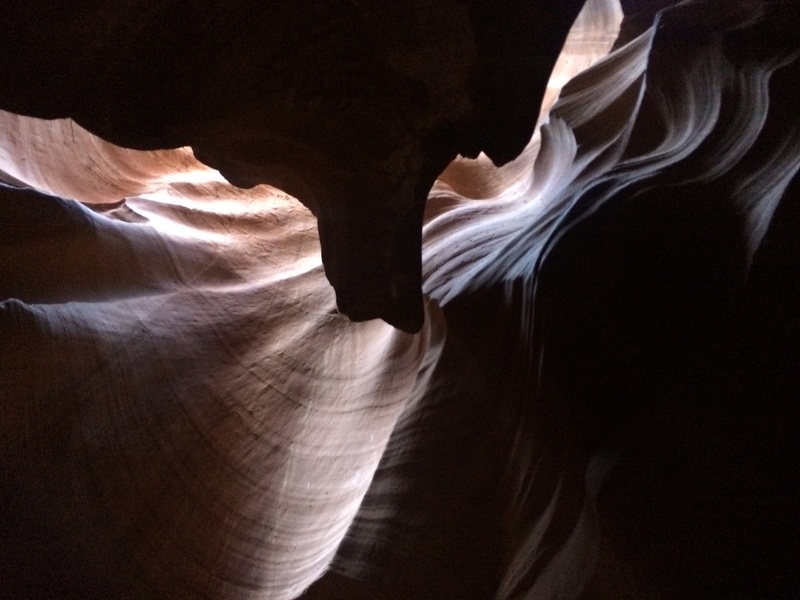 From there, the pathway twisted and turned with sharp but smooth curves in the walls, and the light went in-and-out from dark to bright with beams of light coming through the ceiling of the canyon. Our guide lead the way and gave brief explanations for distinct marks in the canyon walls and explained the history of tree branches that were stuck in narrow sections of the canyon brought in from rushing flood waters 60 feet over our heads. Our guide assisted several people in our group with camera settings and pointed out specific angles for prime shots. I felt like I got some pretty preferential treatment from the guide who used my iPhone camera as the example and took my camera phone from me several occasions to take pictures using filters and settings I had no clue my iPhone even was capable of taking. I wasn’t complaining. 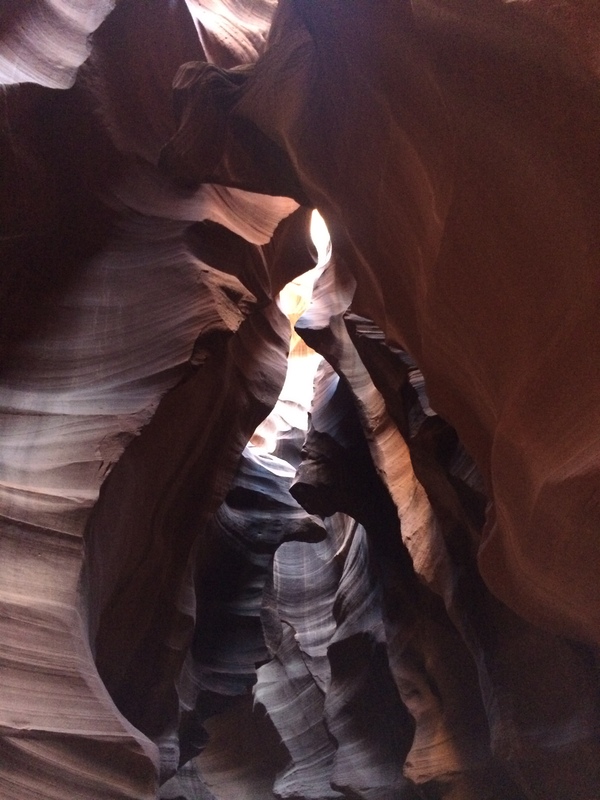 The beauty inside the canyon was really something we were blindsided by. 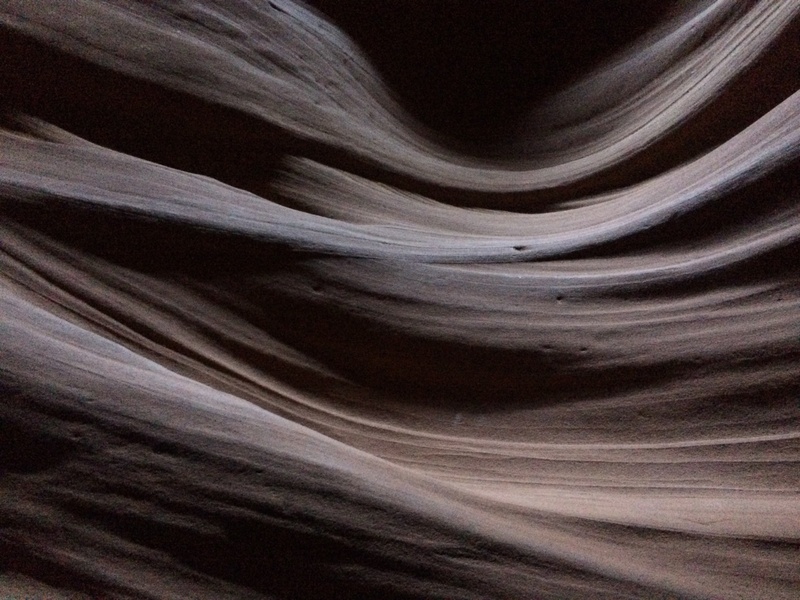 Not only the colors, the eroded canyon walls, the magnitude, but also the thought of the constant forces of mother nature making something as scary as flash floods and turning it into something beautiful. Our tour was rushed closer to the end because the tour ahead of us (ahead by about 10 feet) had several people in its group that simply would not follow the direction of their guide. They kept turning around and walking in the opposite direction, lagged behind to set up their tripod or lagging behind to pretend they were in our group, and it frustrated all of the guides. Not only did this rush our tour, it created a domino effect to all the groups behind us. 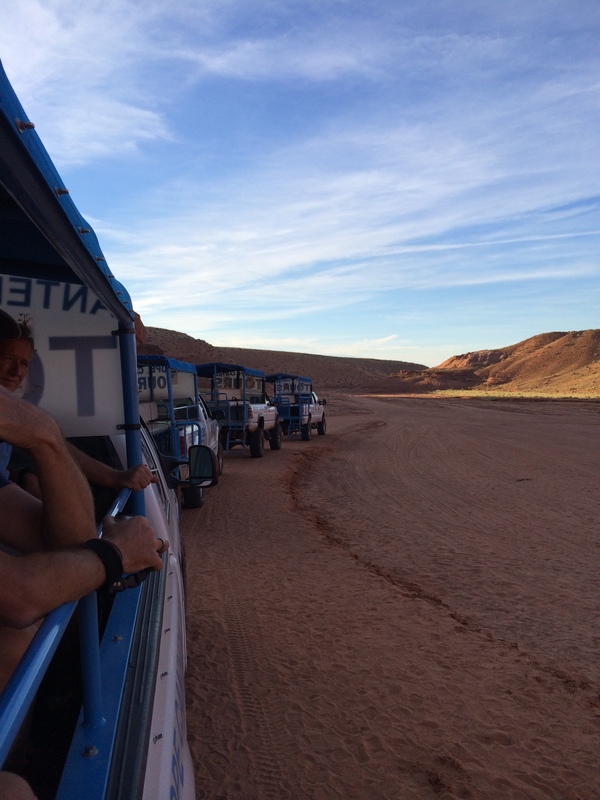 Even still- we did have the best time and checked another box off our bucket list. 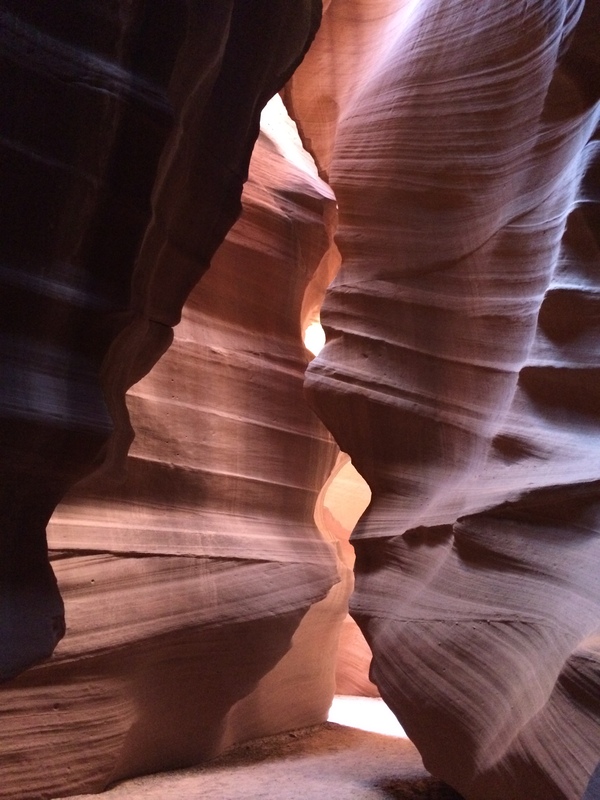 Antelope Canyon is not to be missed. I can’t wait to go back again. 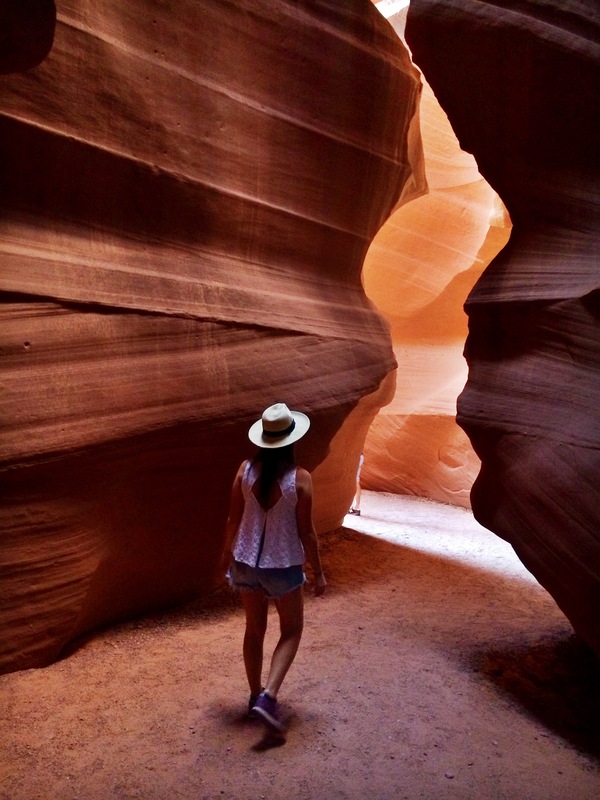 You cannot enter Antelope Canyon on your own. 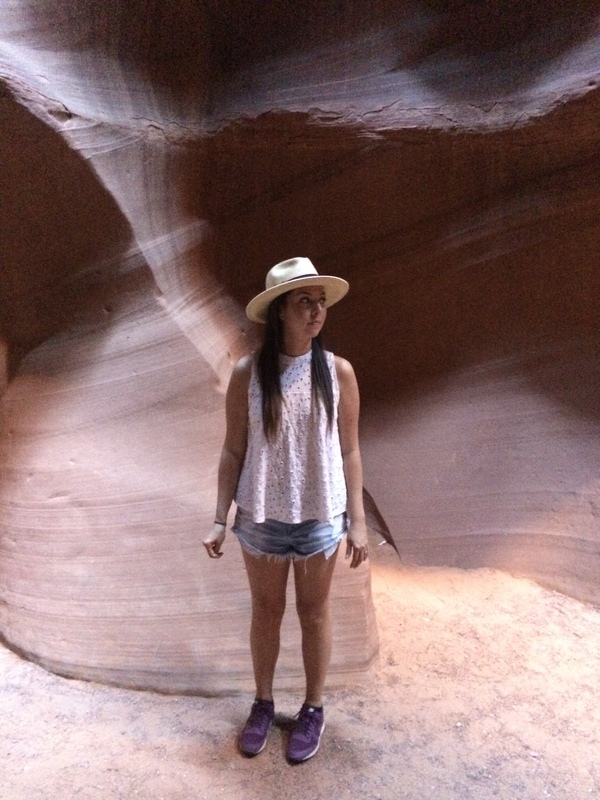 Because Antelope Canyon is located on Navajo Indian Land, all visits to the canyon must be made through a guided tour business with a Navajo Indian guide. No way around it. 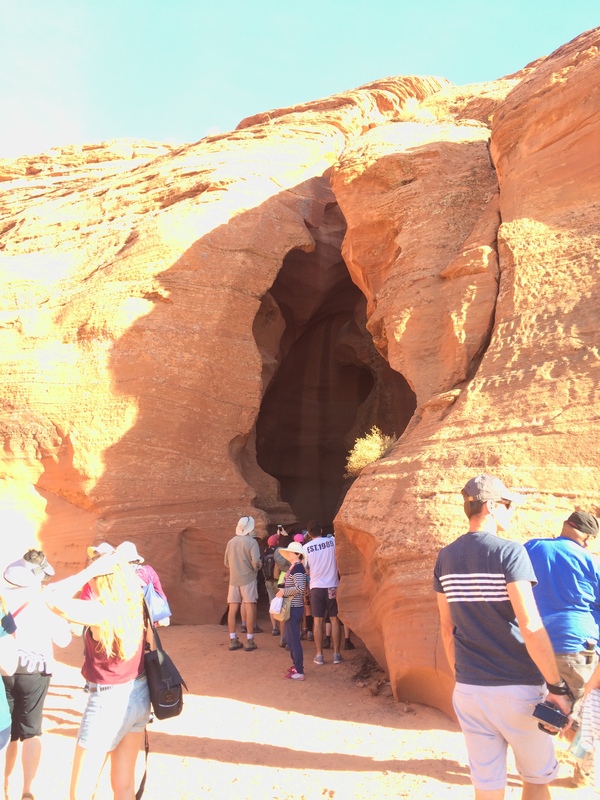 The guides try really hard to stagger the groups inside the canyon to give each group some space, but there was the inevitable overlapping of the tours. 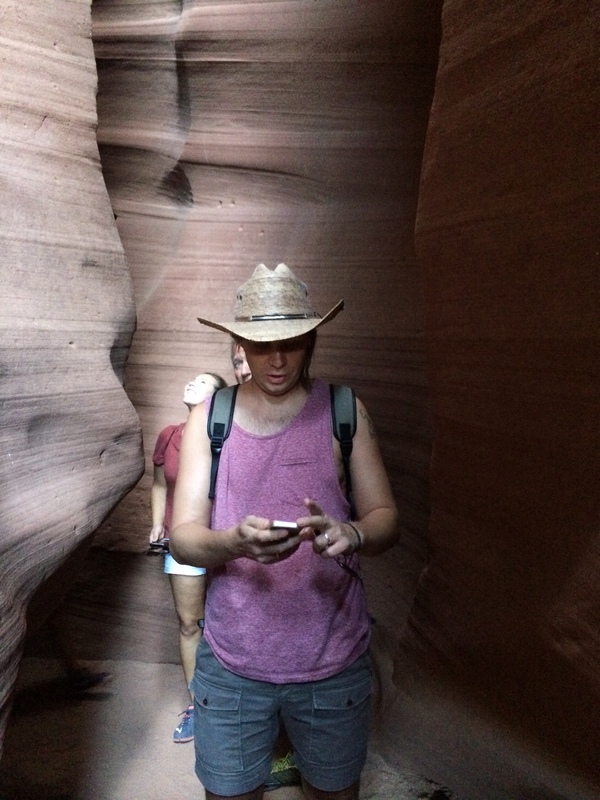 I have been told that Lower Antelope Canyon is less crowded. 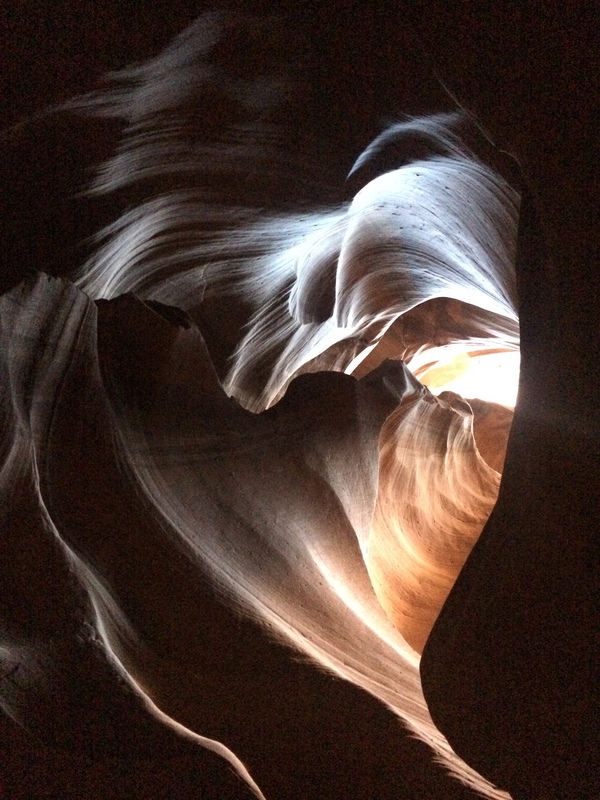 If so, I would suggest visiting Lower over Upper Antelope Canyon. 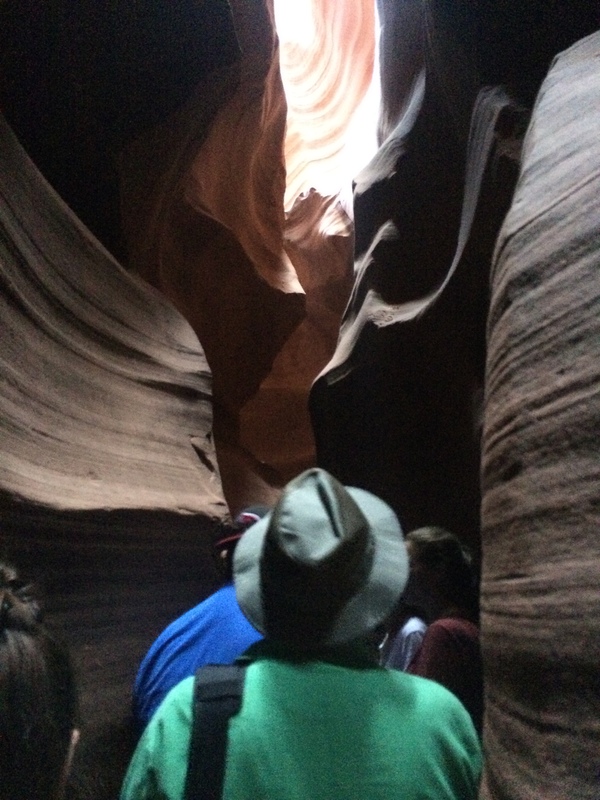 If you are claustrophobic, think twice about entering this slot canyon. At times, the path was only shoulder width apart. Take a good camera. 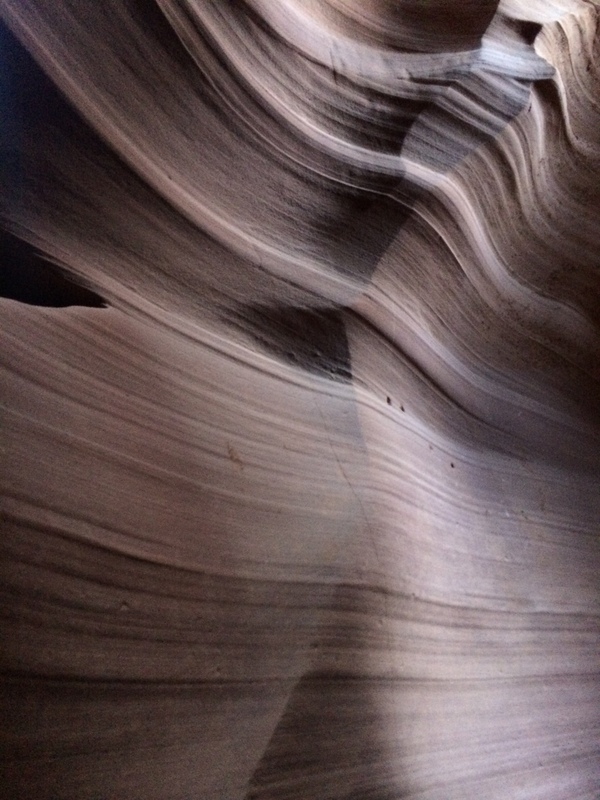 I relied on my iPhone ( I know, I know ) and I struggled BIG TIME to get quality pictures inside the canyon. I would suggest scheduling a tour for morning or midday when the sun is directly overhead. 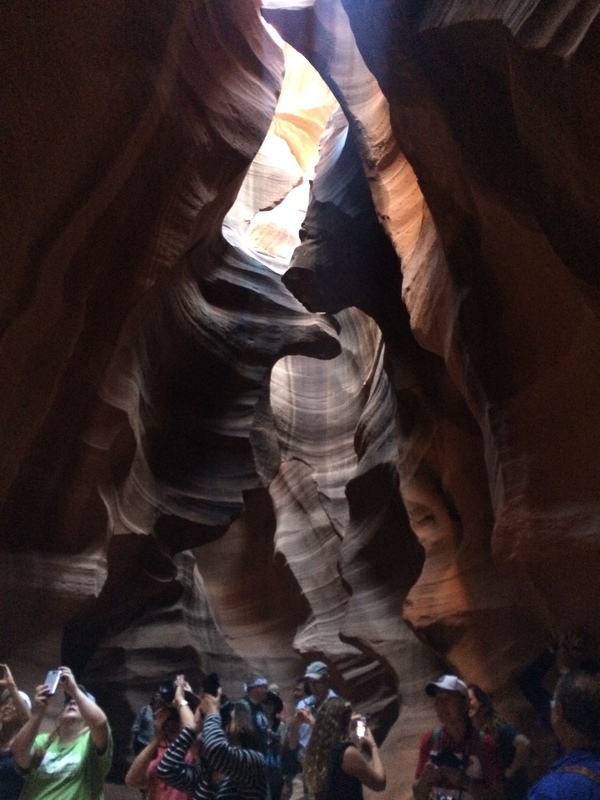 Our tour was at 3:30 pm (entering the canyon around 3:45) and the sunlight inside was going down and fast. Flash Floods are a real danger here. The skies can be clear and the sun can be out, but a storm miles away can send rushing rain water to the canyon with little to no warnings. Listen to your guide! 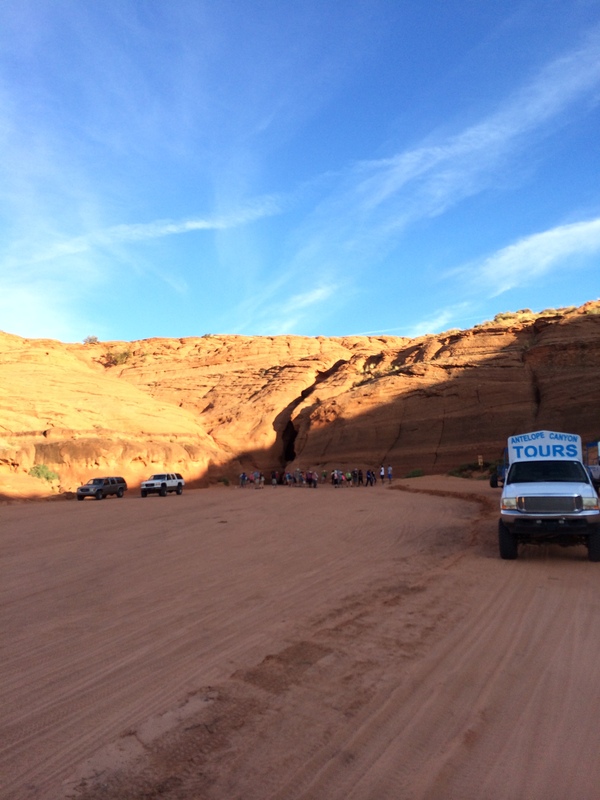 Up next on our road trip is to Horseshoe Bend, Arizona. 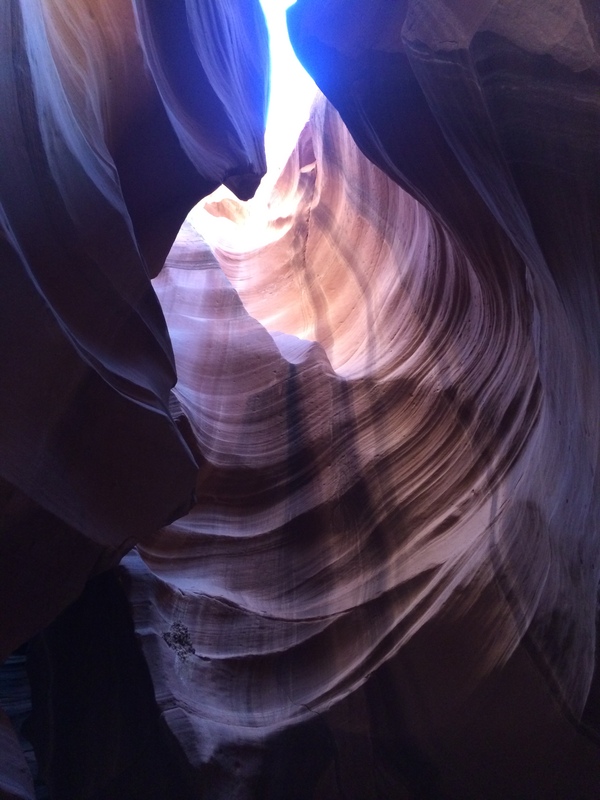 This entry was posted in Travel and tagged Adventures, Antelope Canyon, Arizona, Arizona Road Trip, Desert, Flash Flood, National Parks, Navajo Indian, Navajo Nation, Road Trip, Sand Stone, Sandstone, Slot Canyon, State Parks, Travel, travel blog, Travel Bug, Travel Guide, travel tips, travelblog, USA, Utah. Bookmark the permalink. Stunningly beautiful. Almost overwhelming realization of the power of Mother Nature! Cannot wait to see it for myself. Such an amazing place but so over-crowded. I love that area around Page AZ, so many things to do. 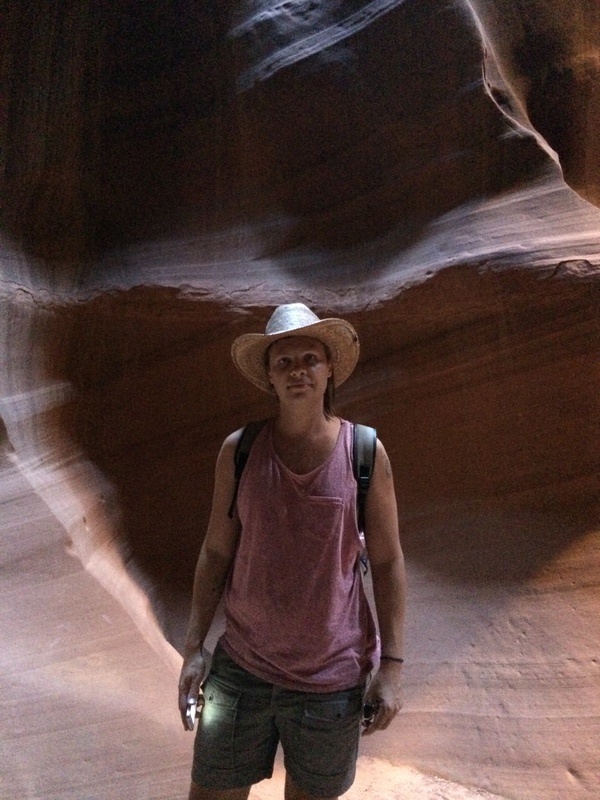 Having worked for Navajo Tourism, I have been fortunate enough to have visited when it was less crowded. Tourist season must be the pits! And August is said to be the best month. 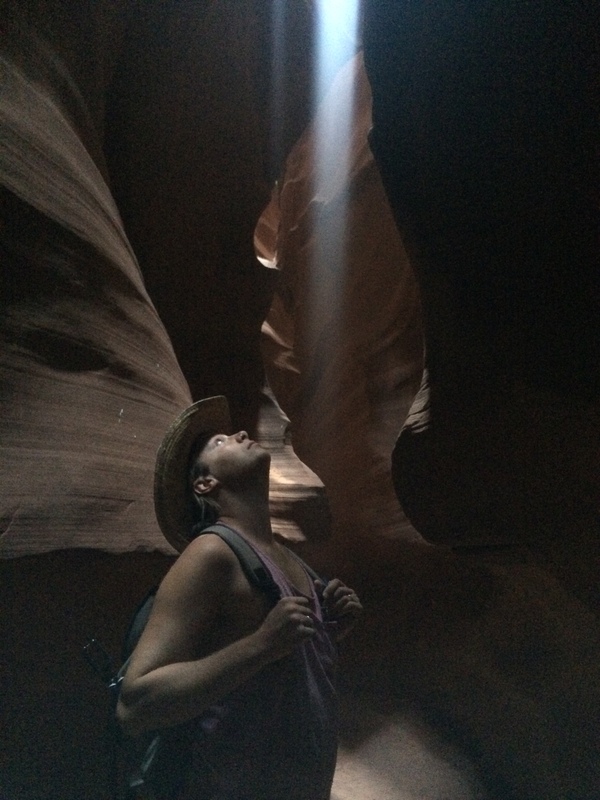 October was nice – still warm with some beautiful sunlight effects. Your photos and your descriptions are wonderful. You took me right back to an awesome experience. 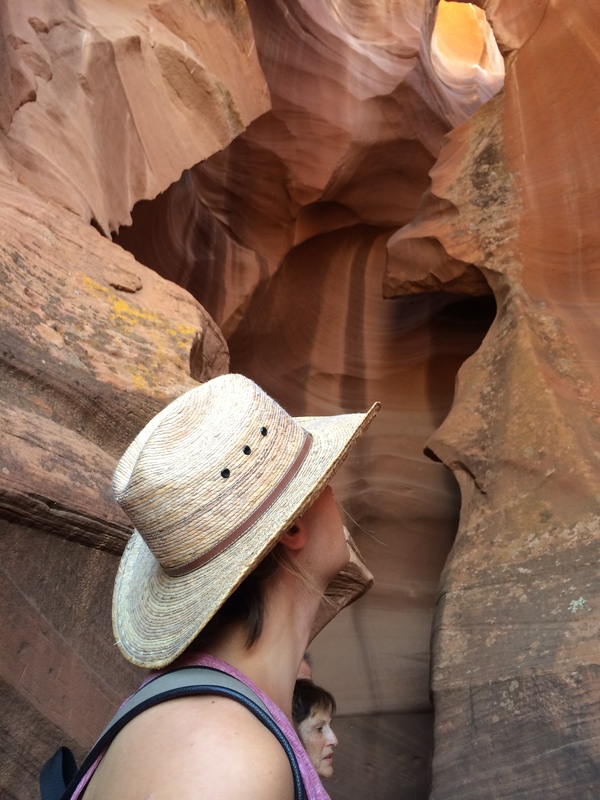 The lower canyon requires some hiking and it can be especially treacherous…a number of people were killed some years ago due to an unexpected flash flood. Thank you! I agree- it is an awesome experience, so it’s no wonder so many people flock to this place. How nice to have been able to visit in less crowded times. thanks again!